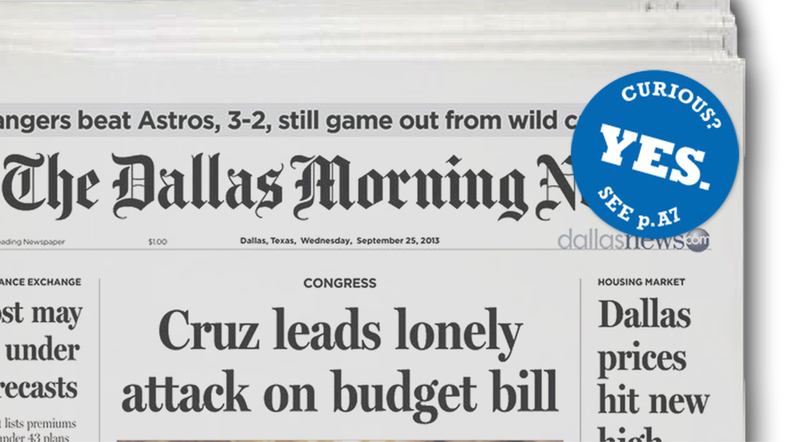 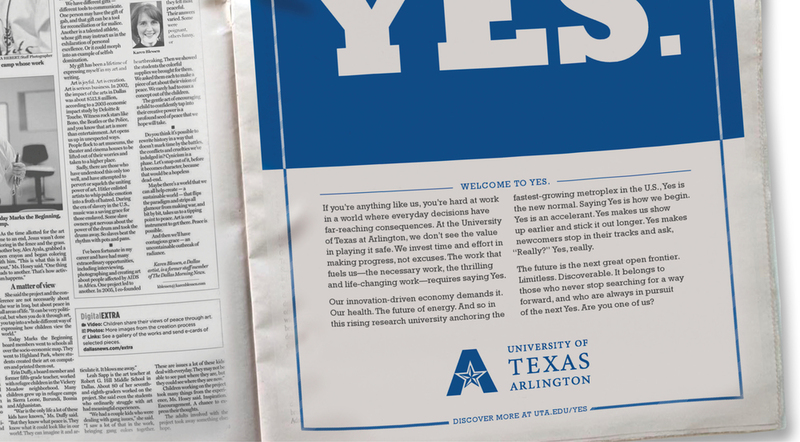 "IN PURSUIT OF THE NEXT YES" ADVERTISING CAMPAIGN: A declarative statement with the proof to back it up. 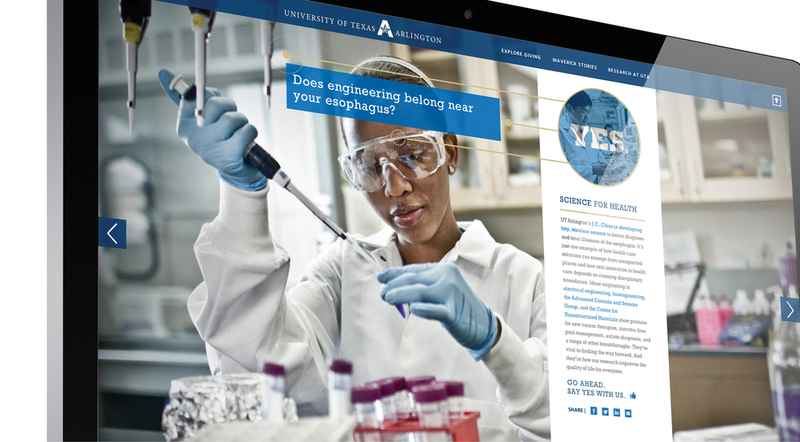 "IN PURSUIT OF THE NEXT YES" MICROSITE UTA.EDU/YES: Site allows visitors to further explore the infinite ways UTA is pursuing the next YES and to chose and share which they think are the most important. 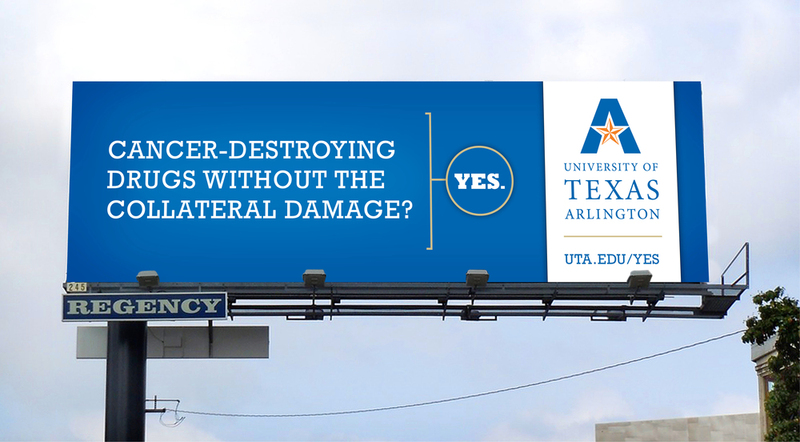 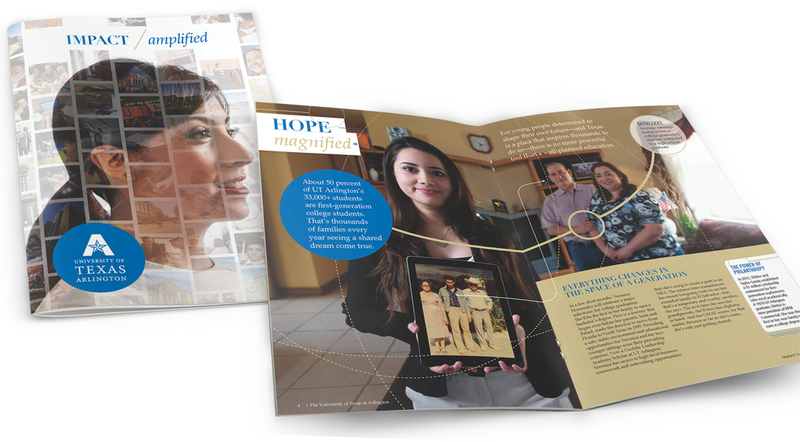 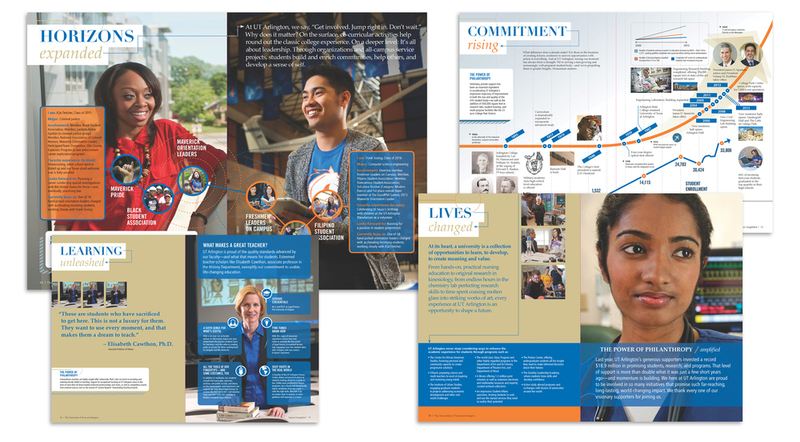 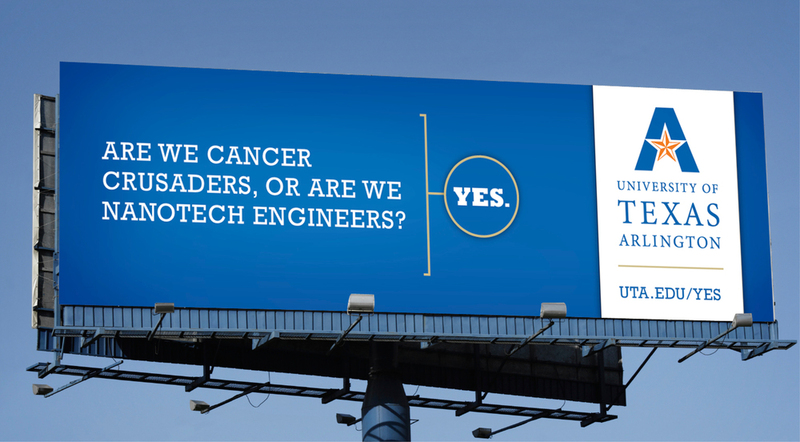 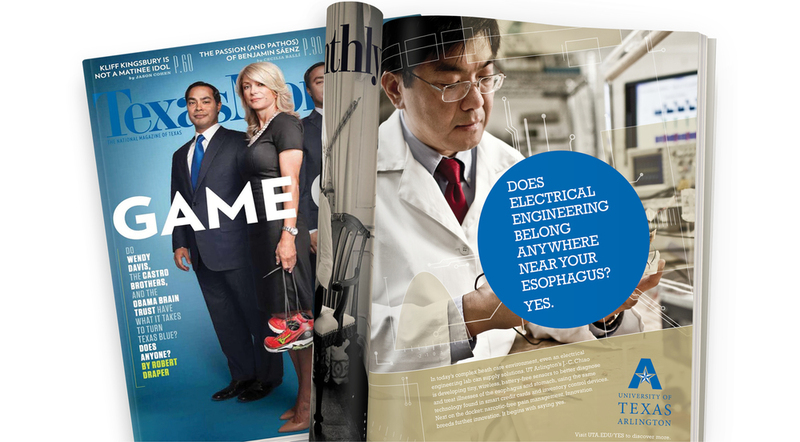 "IN PURSUIT OF THE NEXT YES" DONOR MATERIALS: Materials were created for Development officers to help start the process of educating potential donors on why their philanthropy should be directed toward UTA. 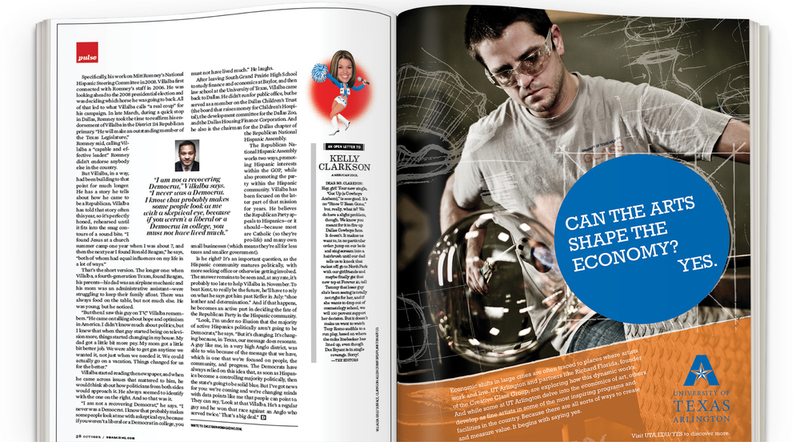 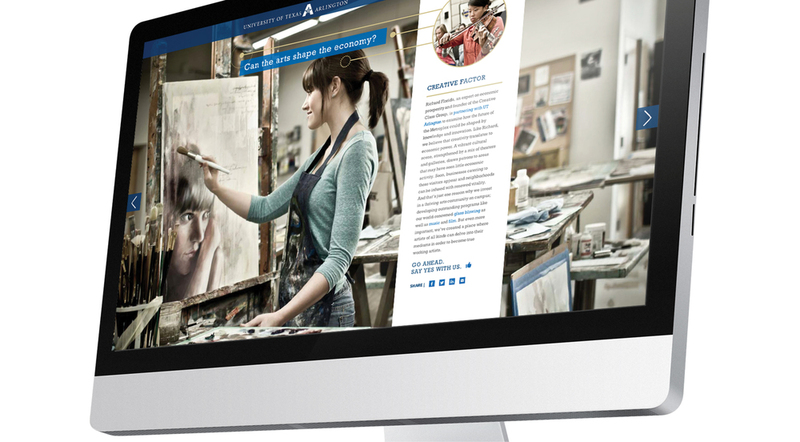 Other projects created included; overall brand image, website development, enrollment marketing and fundraising. 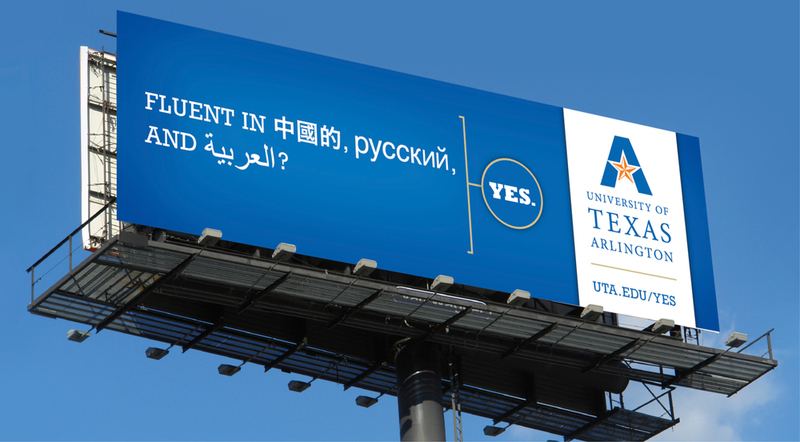 UTA WELCOME CENTER VIDEO: In support of UTA's newly completed, state-of-the-art Welcome Center, an 8-minute video communicating the bigness, brains and beauty of UTA was created. 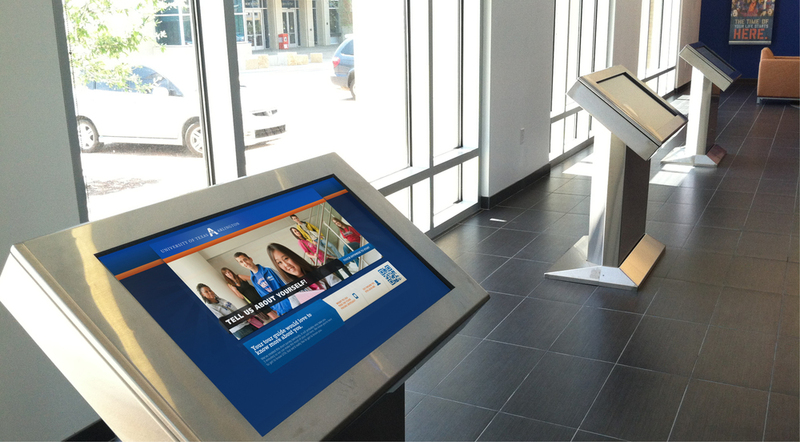 The video was designed as part of a pre-tour experience that would result in a more engaging guided campus tour. 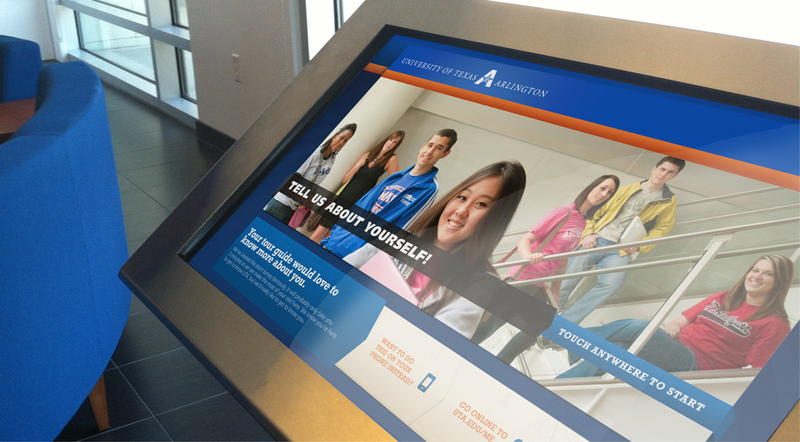 UTA WELCOME CENTER KIOSK: Another important component of the Welcome Center pre-tour experience were a series of interactive kiosk stations that enabled prospective students to provide information on their interests. 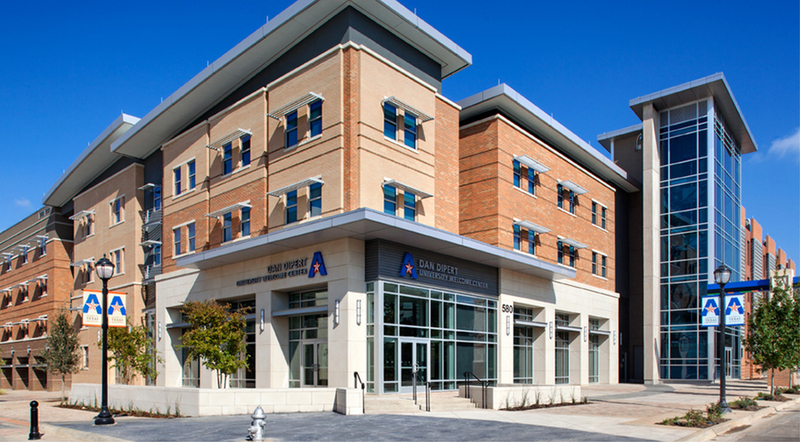 This information was compiled and sent directly to the UTA student tour guides' smartphones allowing them to create a more customized guided campus tour. 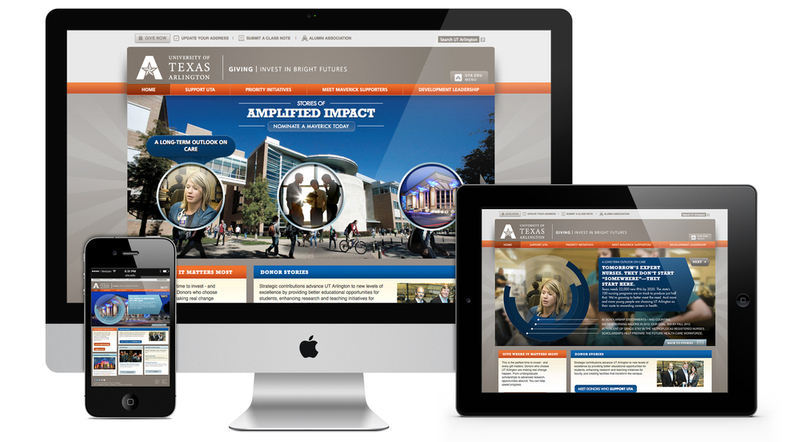 UTA DIGITAL: Among the numerous digital projects were a fully redesigned University Website and a newly designed Giving Site to promoting ongoing fundraising for the university.